Over 1100 schools have received fewer than five applications each for Grade One admissions according to the Schools’ Census Report 2017. Among them are 433 schools which have not received a single application. The report says 137 schools have received one application each; 138 schools two applications each, 176 schools three applications each and 223 schools four applications each. 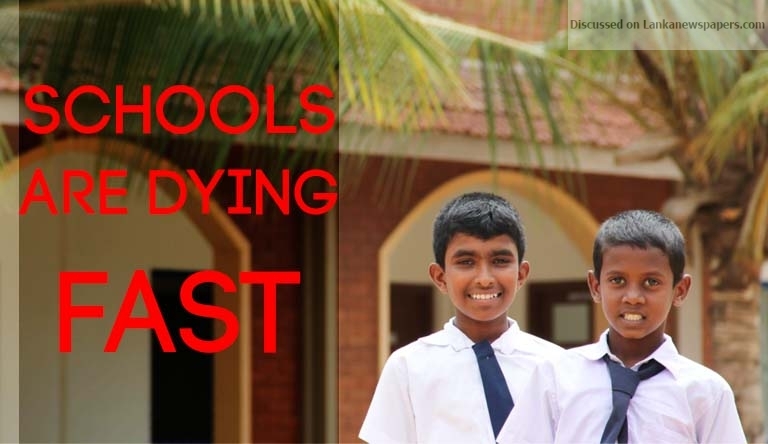 The report says that, 49 schools in Ratnapura District have not received a single application. Among schools that have not received applications are 154 Sinhala medium ones and 259 Tamil medium ones. There are 30 schools which have received over 251 applications for Grade One in 2017. “Similar to the previous years, the number of boys are slightly higher than that of girls in Grade 1 admissions in all nine provinces.